The community’s favorite dog walk is back! On Saturday, Feb. 16 from 10 a.m. to noon at the Grayton Beer Company Taproom, Dog-Harmony invites you and your four-legged family members to support its mission and attend the second annual Hops for Hounds Dog Walk. Hops for Hounds is a two-mile walk down Serenoa Road followed by an after party in the Grayton Beer Company Taproom. This fundraising event features local craft beer, live music by Robert Romans, delicious food from Cafe Rico, an incredible raffle and more. Tickets are $35 for adult walkers and $25 for child walkers, including hounds. Each participant receives a ‘wag bag’ with an official walk t-shirt (while supplies last), a complementary draft beer and admission to a family-friendly morning with the hounds that have our hearts. All proceeds from the event benefit Dog-Harmony, a Santa Rosa Beach-based dog rescue and 501(c)3 organization dedicated to keeping dogs out of shelters through the promotion of humane education. To increase funds to help further its mission, Dog-Harmony is actively searching for businesses to sponsor this event, and with a variety of levels, there’s an opportunity for nearly every business’s budget. 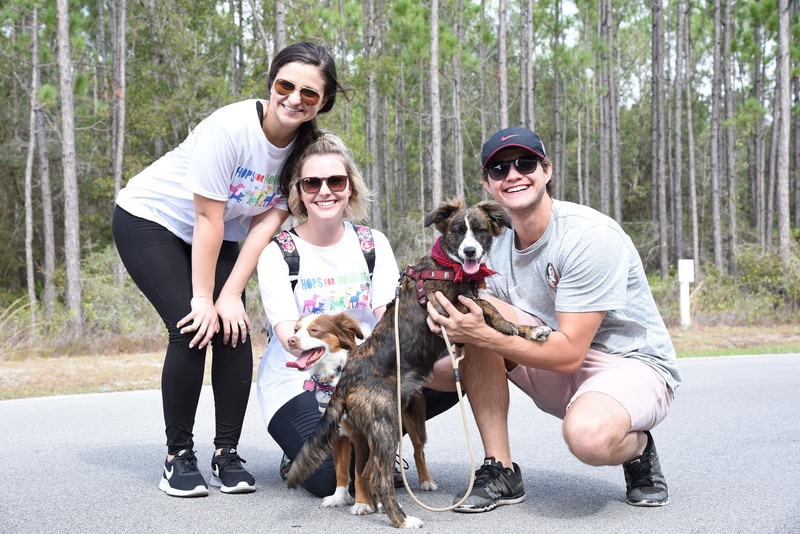 “With the overwhelming need for humane education in this community, every penny helps us continue working toward our mission of keeping dogs out of shelters,” said Bown. Dog-Harmony has developed four main programs to combat the top reasons dogs end up in shelters. Through humane education events, partnerships with other rescues, access to low-cost spay/neuter surgeries, microchipping clinics and specialized adoption services, Dog-Harmony strives to prevent overcrowding in all our local shelters. To learn more about how your business can get involved, click here to check out the sponsorship package or contact the Hive Creative Consulting at info@thehivecreativeconsulting.com, and for more information about this event or to purchase tickets, visit www.850tix.com/events/hops-for-hounds.